You will think that I'm a total nerd (again! 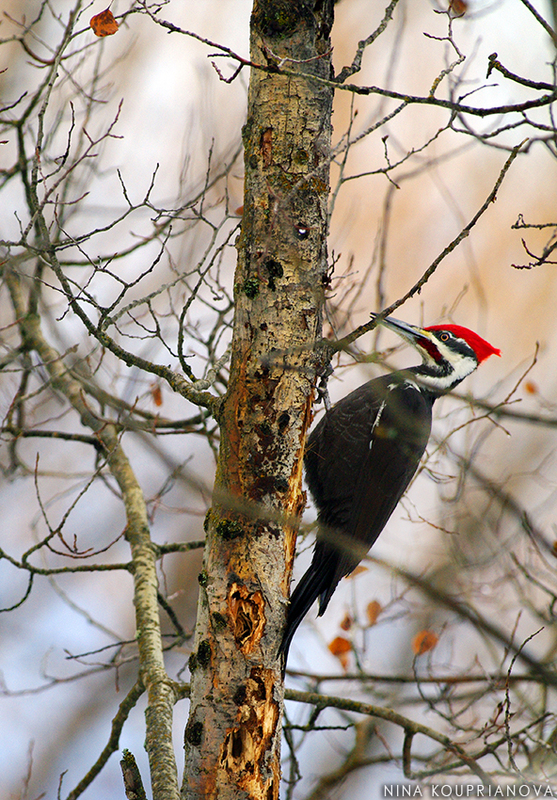 ), but I was very excited to finally be able to photograph none other than the pileated woodpecker! What's more, I noticed this creature in a fairly populated area, so I didn't have to climb any mountains. On second thought, I should probably claim that I climb mountains to stalk animals more often to build up my wildwoman "cred." My dog was annoyed with an extended stop on our walk--this was his time, after all--but allowed me to observe and photograph this drum performance. 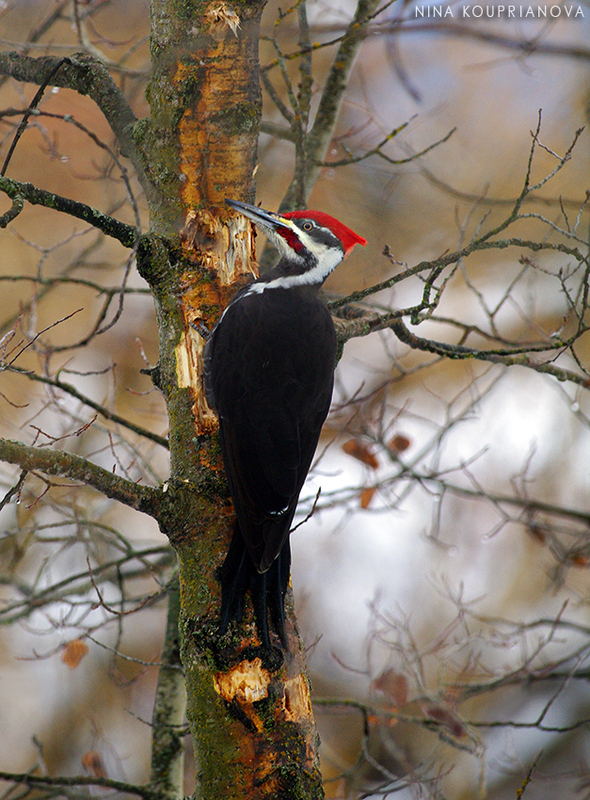 Did I mention that this woodpecker is the size of a crow?